A former Shell and Schlumberger executive, Andrew Garnett has over 30 years’ world-wide experience with oil majors in conventional and unconventional hydrocarbon exploration, appraisal and development projects. 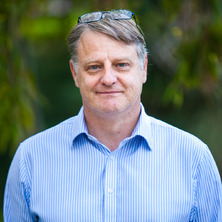 Prior to joining The University of Queensland in 2012, he consulted widely on oil and gas developments, most notably those with high greenhouse gas emissions footprints and worked on the 500MW, 60 MT ZeroGen IGCC and CCS Project as Manager for Carbon Transport and Storage and ultimately as CEO and Project Director. Andrew is currently managing major unconventional gas and carbon, capture and storage research programs undertaken through the Centre for Coal Seam Gas (CCSG) and the UQ Surat Deep Aquifer Appraisal Project. He contributes to a number of Australian and Queensland government initiatives relevant to the oil and gas sector and is on the board of National Energy Resources Australia (NERA), one of the six Growth Centres established by the Australian Government. Andrew’s participation in Queensland Government initiatives includes contributing to the development of the Queensland Gas Supply and Demand Action Plan and membership of the Petroleum & Gas Inspectorate – Safety & Health (upstream) Stakeholder Engagement Committee. And he is a member of the industry working group associated with the revisions of the Code of Practice for constructing and abandoning coal seam gas wells and associated bores in Queensland. In 2014, he also contributed to the Well Integrity Report for the Gas Fields Commission. Further, Andrew is an advisor to the International Energy Agency (IEA), World Energy Outlook, on unconventional gas and on carbon capture storage. In terms of education, Andrew is one of the driving forces behind the UQ Master of Petroleum Engineering (MPE), contributing with broad industry experience and knowledge to the benefit of his students. The program was first offered to professionals in the gas and oil industry in 2013. Andrew has also formed an agreement with Fendley Skills Development to grant UQ master students access to internationally recognized well control training and certification. ZeroGen IGCC with CCS: a case history. Edited by Andrew Garnett, Chris Greug and Martin Oettinger Brisbane, Qld Australia: The University of Queensland, 2014. Lost time analysis of Queensland coal seam gas drilling data and where next for improvement? Building confidence in containment security and reservoir performance for CO2 geostorage at the regional scale. Hodkinson, J., Fiah, N. M., Poupeau, F., Pekot, L. J., Garnett, A. and Gonzalez, S. (2012). Building confidence in containment security and reservoir performance for CO2 geostorage at the regional scale.. In: Eastern Australasian Basins Symposium 2012, Brisbane / Brisbane Convention Centre, (). 11-14 September 2012. What lies in store for CCS?